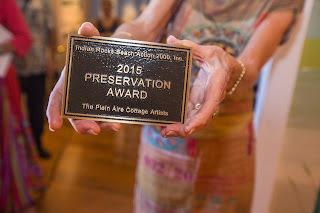 Each year, for the past eight years, the Plein Aire Cottage Artists and Indian Rocks Beach Action 2000 present one business and one residence with the "PRESERVATION AWARD". This year the winner for business is P.J's Restaurant & Oyster Bar. The Owner Rebecca (Bama) Palmer pictured above accepting the Award from Plein Aire Cottage Artist, Mary Rose Holmes. 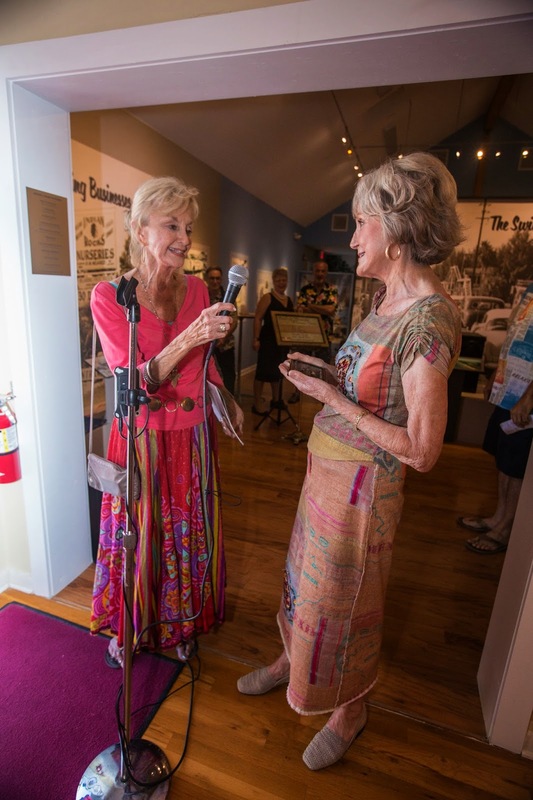 PJ's a long time business at Indian Rocks Beach found their lease was expiring and they then found an old building. They did a spectacular renovation. The food is delicious and the service friendly and efficient. 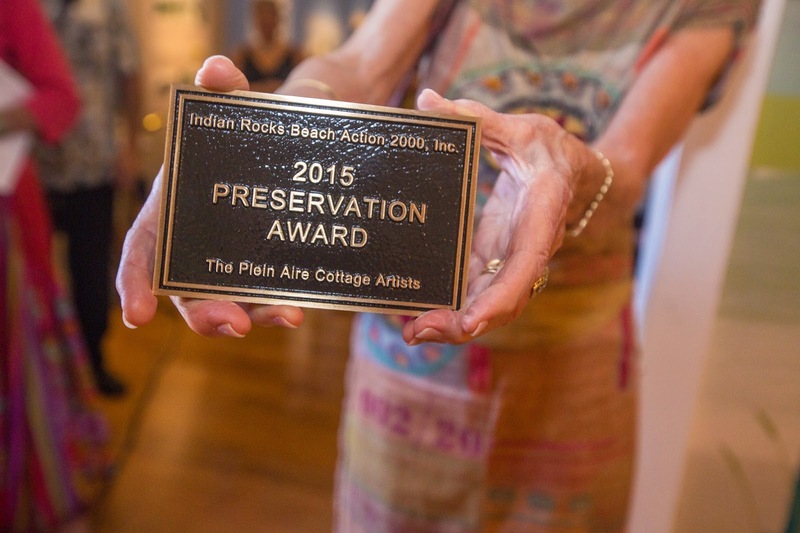 The 2015 Residential Award was given to The Brindley Family. This beautiful beach side home circa 1920 is elegantly and environmentally restored. 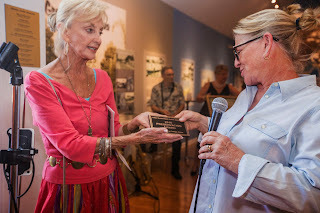 Accepting the award on behalf of Mrs. Brindley is, long time friend, GeorgeAnn Thompson. It was a wonderful evening and we thank all the volunteers and residents of Indian Rocks Beach who helped on Thursday evening. A special thank you to Indian Rocks Beach Historical Museum for hosting this year's event. A special thank you to City Commissioner Phil Hanna for use of his photographs. We look forward to presenting two awards again in 2016. You do realize that you don't look a day older than the last time we saw each other. Sometime around 1995-6? I firmly believe I wouldn't have done nearly so well had it not been for your tender support and your (appropriately) sharp advice! Has it been that long since we met. We must remedy that! You were one of my most memorable employees and I know when I met you that you were a brilliant designer with a great colour sense and you genuinely cared for our customers. Were you eighteen years of age? I knew that one day you would go on to an even greater career. I for one am happy our paths crossed and we did have fun along the way. Thanks for paying me such a high compliment.